SRMJEEE 2019 Answer Key will contain all the correct answers to the question paper. It will help the applicants to analyse their marks. SRM University might release it after the completion of the examination in April 2019. It is solely the University responsibility or decision to release the answer key. As soon as we receive any updates or notification regarding the answer key we will update it on the website. 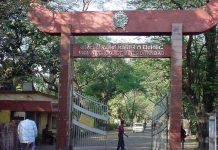 SRM Univ. (SIT) B.Tech. Admission Open – Apply Here. SRMJEEE 2019 will be conducted in online mode, published SRMJEEE 2019 answer key will be made available on this page. The answer key will consist of the correct answers to all the questions asked in SRMJEEE 2019. The answer key will be released in – provisional and a final version. Candidates can raise the objection against the answer key with proof within the given time frame. 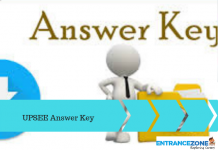 The final answer key will be released after considering the feedback, before the declaration of result. Moreover, for those who will appear in SRMJEEE 2019 can check the information about the release of the answer key. The answer key will be available on the official website of SRM University. And, on the various online portals if it releases on different dates. SRM University Entrance Exam will be held on from 15 April to 25 April 2019. The result will be declared in the first week of May 2019. This answer key helps the candidate to Analyse and compare their performance in the exam. As there is a time gap between the exam and the result. candidates can take the help of answer key to judge their performance. 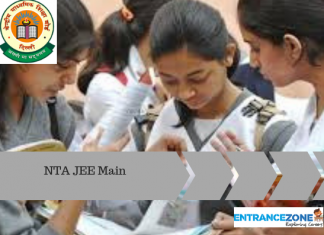 Also, they can prepare for other exams if not satisfied with the performance in SRM Joint Entrance Exam 2019. If any time in the near future after the examination the answer key is released by the University. It will be available on the official website of SRM University. Also, a link will be provided here also. To match their submitted answers with the answer key of SRMJEEE 2019. The candidates should recall as many questions as possible from the exam. How To Calculate Probable Score? 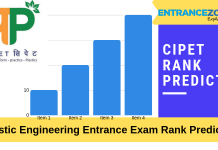 Compare answers with the one given in SRMJEE 2019 Answer key.